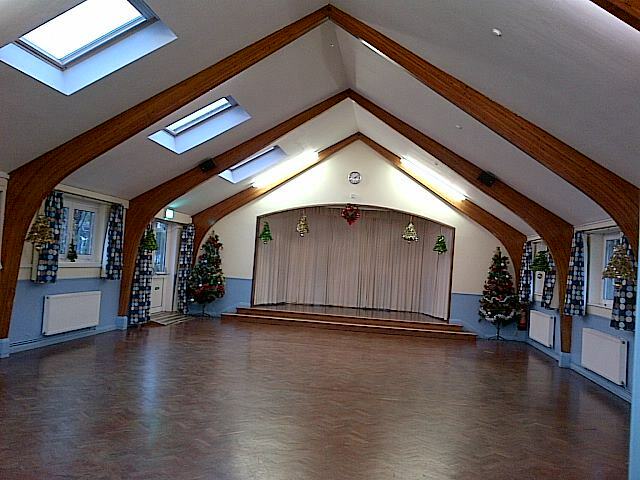 Local Community Centre in Knowle Bristol, owned by Bristol City Council and leased to Redcatch Community Association. Fully refurbished and decorated to a high standard. Available for hire by any group, organisation or individual. A group of local residents volunteer to run the centre. The Management Trustees meet on the first Monday of every month at 7.30 pm in member's homes or at the centre. Please contact Chair Chris Davies or ask any of the committee if you would like to attend a meeting, would like to know more about our activities, or are interested in being involved. Everyone very welcome. EVENT TEAM - "ENTERTAINING LOCAL KNOWLE"
For details of our community events see tab above. For more details check out our Entertaining Local Knowle website. HIRE CHARGES - for exclusive use of the centre see next page "Facilities and Hire Charges". Please see 'Equipment and Items Provided' tab above for info before booking. Extra cutlery and some items need to be hired/booked at the same time. "I cannot fault it in any way. Fantastic facility –I can’t believe it is completely run by volunteers, massively impressed and grateful." The Centre is owned by Bristol City Council and leased at a peppercorn rent to Redcatch Community Association. We hope you will have no cause for complaint about the way we run the centre or your experience working with us and we would take seriously any complaint received. Our complaints form and details of the procedures we adopt is below and weassure you any complaint will be dealt with quickly and effectively.